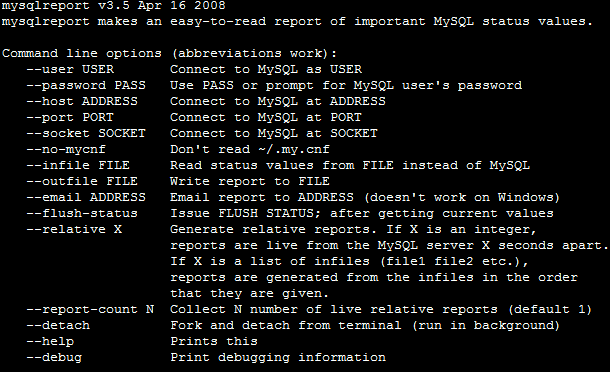 Mysqlreport makes a friendly report of important MySQL status values.Actually, it makes a friendly report of nearly every status value from SHOW STATUS. Unlike SHOW STATUS which simply dumps over 100 values to screen in one long list, mysqlreport interprets and formats the values and presents the basic values and many more inferred values in a human-readable format. 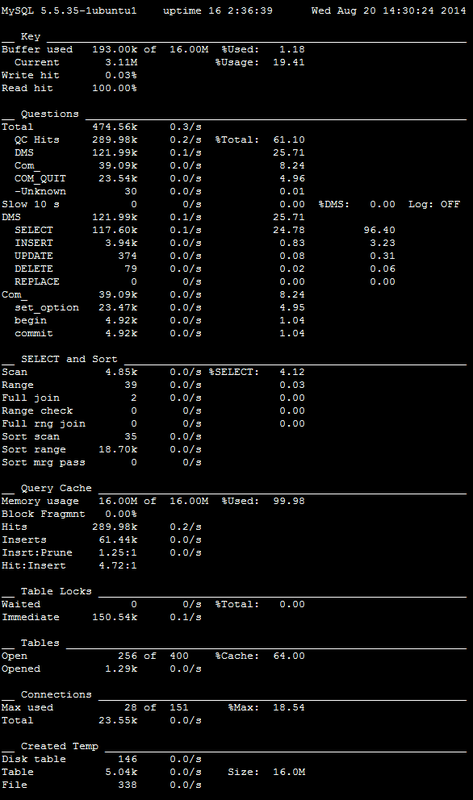 The benefit of mysqlreport is that it allows you to very quickly see a wide array of performance indicators for your MySQL server which would otherwise need to be calculated by hand from all the various SHOW STATUS values. For example, the Index Read Ratio is an important value but it’s not present in SHOW STATUS; it’s an inferred value (the ratio of Key_reads to Key_read_requests).